Summary: A brilliant virtuoso of violence, Richard Marcinko rose through Navy ranks to create and command one of this country's most elite and classified counterterrorist units, "SEAL TEAM SIX". Now this thirty-year veteran recounts the secret missions and Special Warfare madness of his worldwide military career -- and the riveting truth about the top-secret Navy SEALs. Marcinko was almost inhumanly tough, and proved it on hair-raising missions across Vietnam and a war-torn world: blowing up supply junks, charging through minefields, jumping at 19,000 feet with a chute that wouldn't open, fighting hand-to-hand in a hellhole jungle. For the Pentagon, he organized the Navy's first counterterrorist unit: the legendary "SEAL TEAM SIX", which went on classified missions from Central America to the Middle East, the North Sea, Africa and beyond. Then Marcinko was tapped to create "Red Cell", a dirty-dozen team of the military's most accomplished and decorated counterterrorists. Their unbelievable job was to test the defenses of the Navy's most secure facilities and installations. The result was predictable: all hell broke loose. Here is the hero who saw beyond the blood to ultimate justice -- and the decorated warrior who became such a maverick that the Navy brass wanted his head on a pole, and for a time, got it. 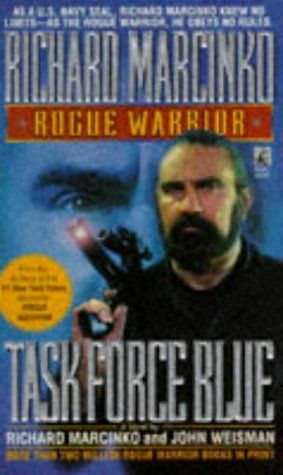 Richard Marcinko -- "ROGUE WARRIOR". 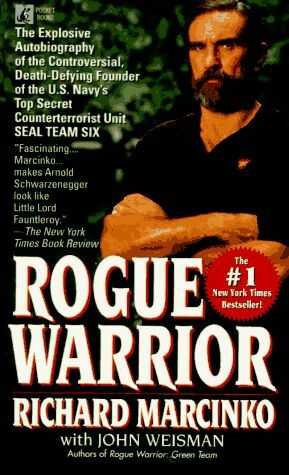 Summary: In the "New York Times" bestselling autobiography "Rogue Warrior", Richard Marcinko chronicled his controversial career in the U.S. Navy's elite maritime commandos, the SEAL teams. After his success as creator and commander of the counterterrorist SEAL TEAM SIX, he was ordered to create "Red Cell" -- a dirty-dozen team of SEALs whose mission was to infiltrate the Navy's most secure installations. Marcinko did his job too well. His reward was a year in a federal penitentiary. During that year, Marcinko and John Weisman wrote "Rogue Warrior"...but government restrictions meant Marcinko could only tell a fraction of his incredible story. Now the secrets he could not reveal explode on the page as the "Rogue Warrior" returns in the blockbuster suspense novel of the year -- a novel with him as the hero! 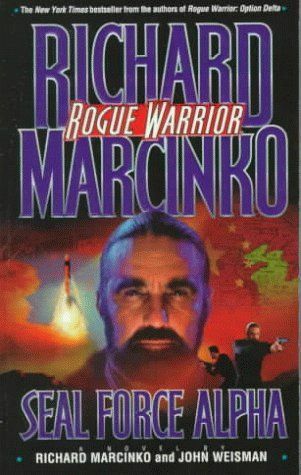 As "ROGUE WARRIOR II: RED CELL" begins, Marcinko, now a freelance security expert, makes a shocking discovery: smugglers are transferring nuclear materials to North Korea through Japan -- with backing from traitorous Americans. Recalled involuntarily to command RED CELL and stop the operation, the "Rogue Warrior", with his loyal SEALs, will do anything to crush those who would betray America for a price. Based on current SEAL tactics, "ROGUE WARRIOR II: RED CELL" is an electrifying, sure-fire hit. Summary: Richard Marcinko's revelations in his explosive #1 bestselling autobiography, "Rogue Warrior", reverberated through the highest levels of the U.S. government. But, bound by government restrictions, he was forbidden to tell the whole story. The answer was fiction. 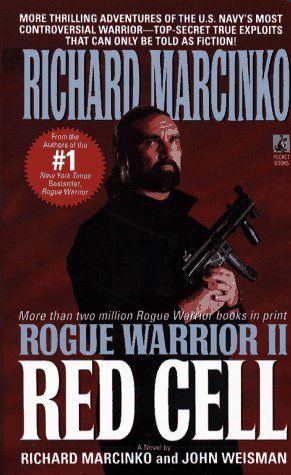 First came "Rogue Warrior: Red Cell", the take-no-prisoners bestseller with Marcinko as hero. Now the Rogue Warrior's back and he's hotter than ever, in a knockout novel of courage and nonstop action. 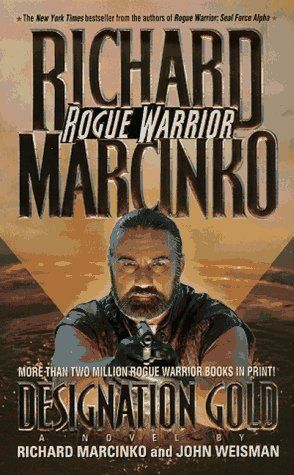 Summary: Richard Marcinko's #1 "New York Times" bestselling autobiography, "Rogue Warrior", brought SpecWar combat out in the open. But only fiction could to tell the whole, unrestricted, in two more explosive "New York Times" bestsellers -- "Rogue Warrior: Red Cell" and "Rogue Warrior: Green Team." Now the Rogue Warrior's back in a raw, authentic novel of relentless action and suspense. When the Rogue Warrior and his elite SEAL team, Task Force Blue, storm a hijacked 727 in Key West, a hostage is killed -- and Marcinko must pay. Facing court-martial and removal from the Navy, his is recuited by the Defense Intelligence Agency to erradicate a secret right-wing terrorist infrastructure. Combating a brutal enemy force, and pursued by the FBI, Marcinko maneuvers through a political, military, and bureaucratic minefield, adhering to the ultimate Commandment of SpecWar -- "there are no rules -- win at all cost!" My Comments: Not as good as the previous books. Summary: The Rogue Warrior has come to Moscow to investigate the assassination of Paul Mahon, U.S. Defense attaché in Russia. Marcinko knows who killed him -- Andrei Yudin, a godfather in the Russian Mafia -- and he wants to know why. Instead, he finds a cabal of corrupt, mob-linked russian politicians. The revelation gets him yanked back to Washington, where orders come down to disband his elite team of SEALs. My Comments: What's going on? This book was mediocre as well. Summary: AS A U.S. NAVY SEAL, RICHARD MARCINKO KNEW NO LIMITS -- AS THE "ROGUE WARRIOR", HE OBEYS NO RULES! 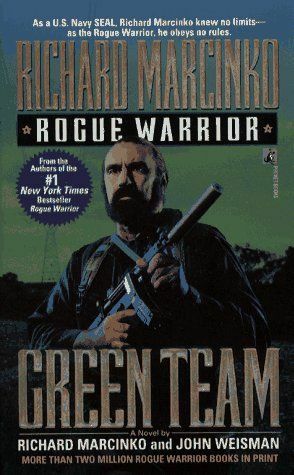 SpecWar master Richard Marcinko has revealed classified, kill-or-be-killed operations in a series of "New York Times" bestsellers: Rogue Warrior, his #1 blockbuster autobiography, and four scorching Rogue Warrior novels. Now in an electrifying new adventure, the Rogue Warrior battles an ultra-secret, ultra-lethal military plot. The Rogue Warrior's taking a flying leap -- a high-altitude jump over the South China Sea. His mission: scuttle a Chinese freighter's cargo of nuclear hardware and its crack crew of naval commandos. It's a leave-no-tracks, take-no-prisoners operation -- in short, business as usual. But on board Marcinko makes a chilling discovery: a cache of state-of-the-art command and control equipment, all made in the U.S.A. -- and primed for America's destruction! Marcinko takes his findings back to Washington, where he runs into a wall of doublespeak and double deals. But not everyone wants to see America go down the drain. General Tom Crocker, chairman of the Joint Chiefs of Staff, unleashes the SEALs of war -- Marcinko and a Pentagon-based unit, SEAL Force Alpha -- to neutralize a global maze of political deceit that begins all too close to home. The Chinese sense victory. They have a mole in the White House, and five thousand years of military strategy on their side. But neither the traitor nor all the wisdom of Sun Tzu are prepared for Marcinko and his men. They, after all, live by the Rogue Warrior's Tenth Commandment of SpecWar: "There Are No Rules -- Thou Shalt Win At All Cost." My Comments: That's more like it! A real page burner.